I’ve been reading books and articles about open source software since at least June 1998 – the first time the famous phrase “The cathedral and the bazaar” (*) made an appearance in Symbian’s principal internal discussion database (which was, at the time, still called “Psion Software General”). However, I remain keen to keep on testing out my thinking and understanding of open source issues. After all, there are many different angles to this subject. There’s potential huge upside to taking full advantage of the best principles of open source methods – but there’s also many risks from applying some of these ideas in a misguided manner. For that reason, I continue to pick up books on open source software and think hard about what they say. 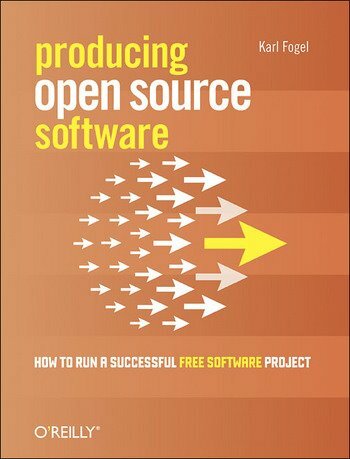 Recently, I accepted the advice of several of my Symbian colleagues, and started reading “Producing open source software” by Karl Fogel. I’m very pleased that I listened to that advice. In my view, this book is in a class of its own. It has the great merit of being an intensely practical book. It’s clear from numerous examples in the book that the author has extensive real-world experience at the heart of development teams of open source projects that are both significant and successful – including CVS and Subversion. Managing volunteers- including the typical roles that probably need to be filled in projects. The writing style was pleasant and clear throughout – with an engaging mix of actual examples (both good and bad) and a discussion of the broader lessons to be drawn from these examples. My recommendation is that project teams should regard this book as a kind of “bible” – it’s something that should be regularly dipped into, and the many salient points shared and debated in group discussion. The lessons will make sense on several levels – some apply during early phases of projects, and others as the project becomes more complex. … it’s impossible to put a precise number on the failure rate. But anecdotal evidence from over a decade in open source, some casting around on SourceForge.net, and a little Googling all point to the same conclusion: the rate is extremely high, probably on the order of 90–95%. The number climbs higher if you include surviving but dysfunctional projects: those which are producing running code, but which are not pleasant places to be, or are not making progress as quickly or as dependably as they could. If that whets your appetite, note that you can read the entire book online, by following the links above. Alternatively, check out the reviews on Amazon.com. (*) Footnote: The June 1998 “Psion Software General” discussion contained a link that is, sadly, now dead. I’d like to belatedly thank Symbian lead Software Engineer Joe Branton for coming to my room, on several occasions, and encouraging me to pay more attention to the ideas in The Cathedral and the Bazaar.